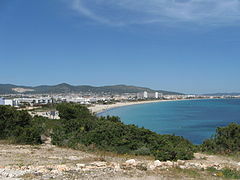 Ibiza is midway between Spain's coastline and the larger island of Majorca. ↑ "Valores Climatológicos Normales. Ibiza / Aeropuerto". June 2011.